Amazon Business Customer Success Manager Amy MacPherson will host four webinars next month for customers wanting to learn how to maximize the benefits of their business accounts. See below for a list of topics, dates and times. Register now to reserve your spot. Did you know you can make tax-exempt purchases through Amazon Business? Learn about the Amazon Tax Exemption Program (ATEP), exemption eligibility and how to enroll in ATEP. Get the most from Amazon Business by learning how to set up your account, customize purchase settings and manage buyers. Discover how to add users, create and configure groups, use checkout features, access spend reports and leverage business customer support. 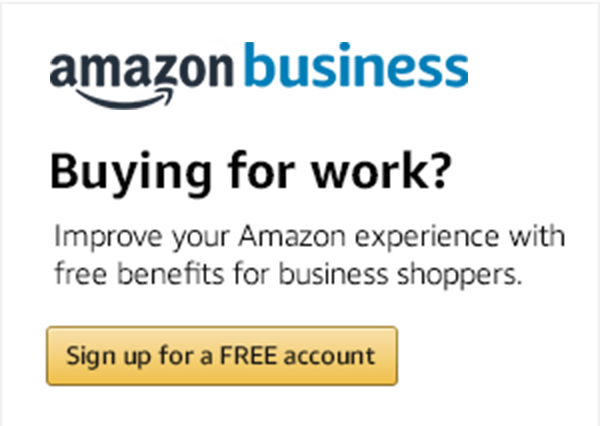 Get up and running quickly with Amazon Business and explore all the features of your business account including pricing discounts, exclusive selection and product offers. Topics include marketplace shopping, purchasing tools and business customer resources. Learn about Amazon Business Analytics, a new and improved reporting tool that takes the information already available in your Order History Reports and lets you to view spending online via dynamic graphs and data tables, making it quicker and easier to track and monitor spend on Amazon Business.